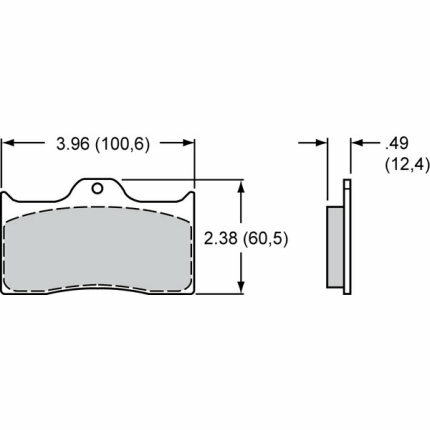 A direct replacement for the Dynalite Cast Caliper but upgraded by manufacture utilising the drop forged billet process. Forged Dynalites are now the strongest caliper in their class. 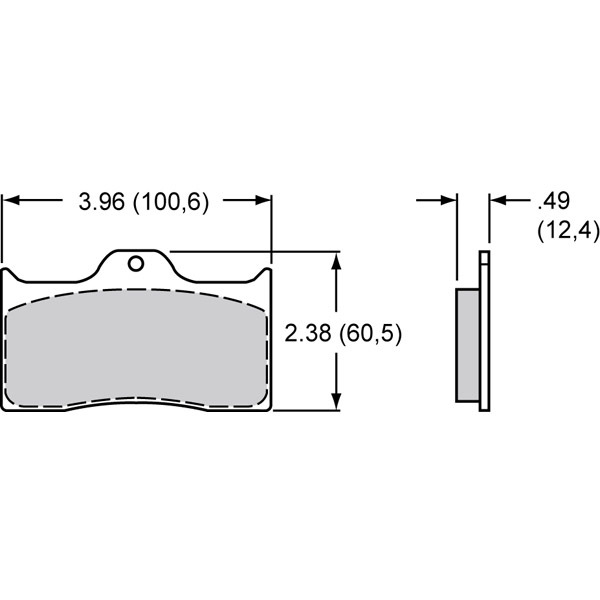 The drop forging process aligns the metal's grain structure stress flowed within the contour of the caliper body. 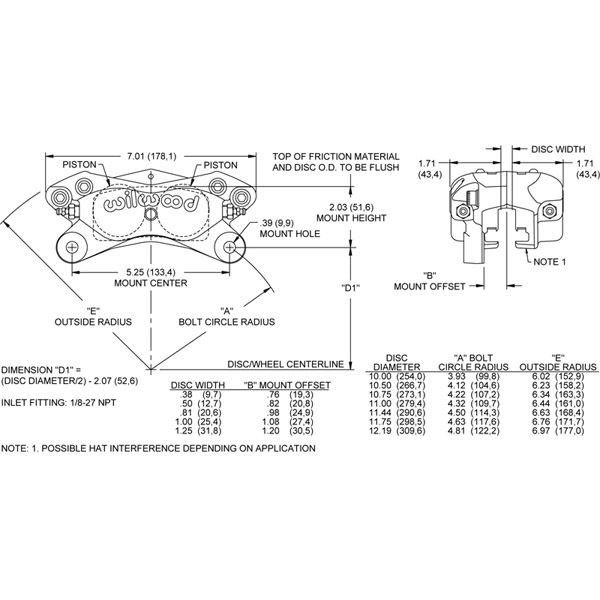 The careful design of the body incorporating maximum overall radii and in particular a large radius in the critical area the piston housing body and caliper bridges substantially increases resistance to deflection and caliper separation under load. Structural deflection and volume displacement tests have proven the Forged Dynalite to outperform all existing styles (and copies!) 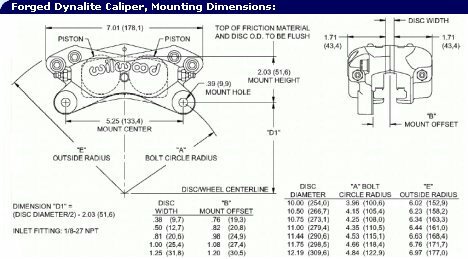 of this popular caliper size. 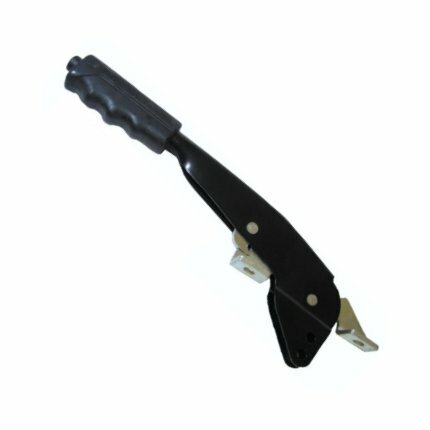 The end result is a firmer pedal with increased clamping power, less effort and pedal travel yielding better stopping power. 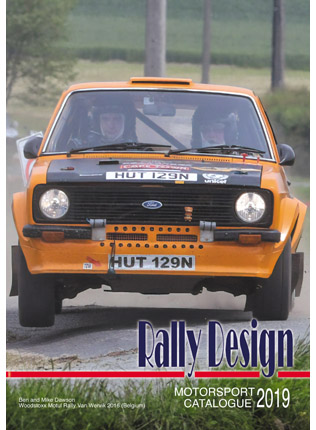 In this new design we have been able to incorporate Wilwood's SRS - Squeal Reduction System. 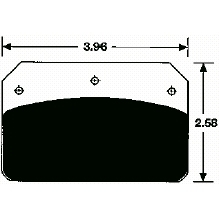 The sprung stainless steel pad retention plates eliminate caliper wear due to pad gouging and dampen pad rattle/vibration harmonics which are the primary cause of the annoying low speed caliper squeal. 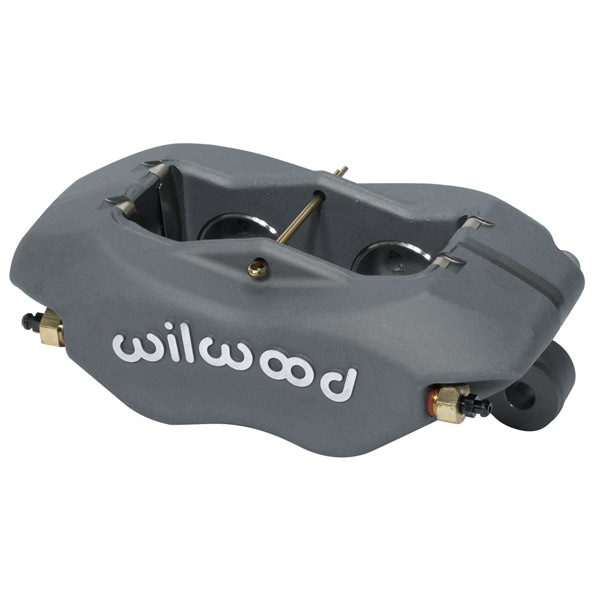 Includes all other standard Wilwood features including square faced piston seals for positive long life sealing and deep cut stainless steel pistons to resist corrosion and retard heat transfer. 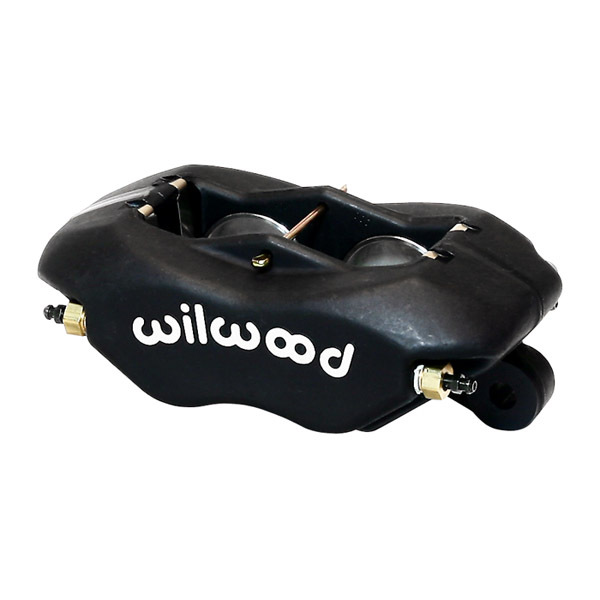 Because of Wilwood's commitment to volume manufacture all of these features have been included at a minimal increase in price - still the best value brakes in the world!